A full look at Anno 1800 Ubisoft Blue Byte’s newest real time strategy city-building series game. Ubisoft is going back to basics as it’s Anno Series is set to welcome its newest title, Anno 1800. Of course, the new game is not surprising, considering the huge success the previous game had in recent years. As a city-building, real-time strategy game the Anno series is deemed a success by most critics. The Anno series is somewhat different from other city designer games as there are many elements in the game that sets it apart. The Anno series were much more dependent on economy and exploration. This mixed in with timeline differences, sets up a perfect combo for medieval fans to futuristic enthusiasts. The series has changed drastically over the past 10 years, but its core essentials remain the same. Many players included, including myself, still play and continue to enjoy the old Anno games. 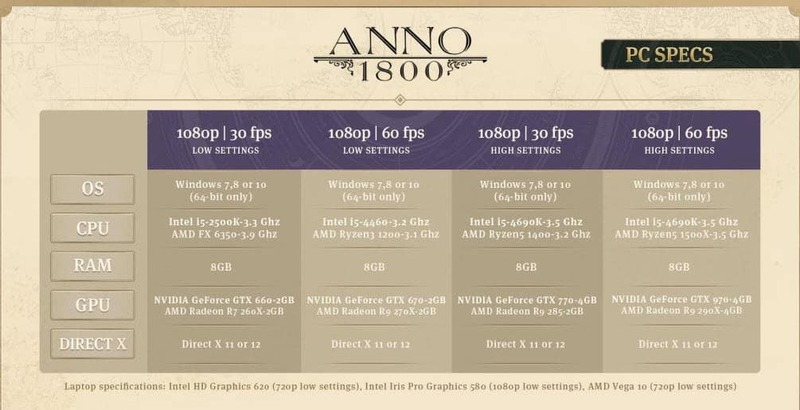 If you are looking to get into the Anno series this is the perfect time as Anno 1800 is set to drop this month. Still not convinced? Here is a look back at the history of the Anno series leading up to its newest Anno 1800 title. Anno series launched back in 1998 with its first title, Anno 1602: Creation of a New World. However, the game did not release under Ubisoft brand. The was launched with German-based Sunflowers Interactive and Max Design. The game was so stress-free and entertaining even German housewives played it. In 2003 the second game of the series Anno 1503: The New World was released. The early 2000’s were times where almost every gamer owned an EA game title. EA collaborated with Sunflowers Int. for the Anno 1503. Just like it’s first title the second game also received positive engagement. 2006 saw the third installment to the series in Anno 1701. This Anno 1701 release set the foundation for the modern Anno games. Most of the economic features, such as taxing your citizens were introduced for the first time with Anno 1703. 2009 saw the best game of Anno series called Anno 1404. The game was set in a renaissance theme. The game had a perfect mix of economy and exploration. It offered an alternative to hit titles like Simcity. The game was well received by all gaming critics and even offered it’s first expansion DLC. Anno 1403 was the first game published under the Ubisoft brand. In 2011, the series took a twist as its new Anno 2070 title took place in the future rather than the past. Although very different, the game did not differ from its core elements of the series. However, the Anno series saw its first decline in popularity with it’s 2015 game release, Anno 2205. The game took place even further into the future and lacked maps. Combat was prominent and the game needed several patches to feel complete. Fans were initially waiting for the newest title, Anno 1800, to be released in 2018. However, unknown circumstances pushed the game to an April 2019. The game itself looks gorgeous from the trailers and beta testing from several selected streamers. The graphics look amazing with water animations showing major improvements. The Anno 1800 timeline is set around the Industrial Revolution. 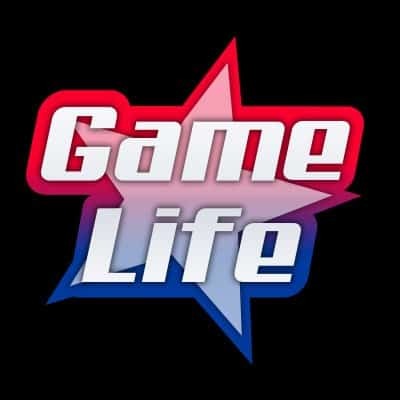 The game will attract longer playing times with a bundle of interesting decisions to be made. Anno 1800 release time will be on April 16th for Windows and PC. The pre-orders were available on April 11th. Anno 1800 starts the same way as all the other Anno series games, with a ship, port and an island. The blueprint system of Anno 1800 is a new addition to the series. Players will be able to plan their city ahead of time, without spending any valuable resources. If a player wants to construct a building but has insufficient resources, one can also place a blueprint of the building for a later time. When a player has enough resources you can then return and simply click and create the building. Tourists will now be visiting your cities. They will look for amazing landscapes and cities rich in economy. In other words if your city is dump, don’t expect any tourists to be visiting. Visiting tourists will help the growth of economy . Another new system introduced with the Anno 1800 is Expedition. The system will allow players to search for islands with other purposes outside of exploration. Players can find archaeological sights and artifacts from expeditions. Artifacts are very useful towards tourist attractions inside your own city. Anno 1800 brings back random islands after being removed in the Anno 2205 game. Anno 1800 offers another interesting feature with an additional game session. If you create an amazing city, with healthy economy, players will have access to create new cities and acquire goods in South America. These unique buildings are very important for both your city happiness and good economy. Tourists, as we all know, love to visit Museums and Zoos, as your people will also want these buildings for their own cultural needs. 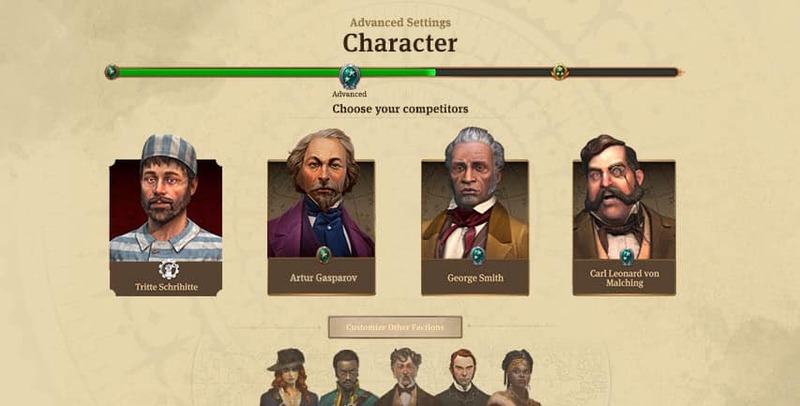 The gameplay of Anno 1800 starts in familiar fashion. A player is given an island, a ship and a port. You are expected to start building your city immediately, while trying to explore different parts of the map for valuable resources. In every Anno game, there are social classes, as these classes need specific resources from other islands. One island colonization will not be enough for your people to expand on. The complexity of the economics in the game is not related to money but relies on resources. Colonized islands will need specific resources to maintain habitability. Players are faced with other political powers trying their best to acquire as many of the islands as possible. Some groups will be very aggressive right from the start, while others show more of a passive side. In the end, all parties will compete for resources to provide for their people. The economical side of the game, will lead to a militaristic approach as resources become critical in the later stages. Your goal is to create the best balance between resources and your people. There will be neutral factions to trade but you can easily turn them into your enemies as well. The absence of land battles is very interesting decision, as previous titles always included land army. 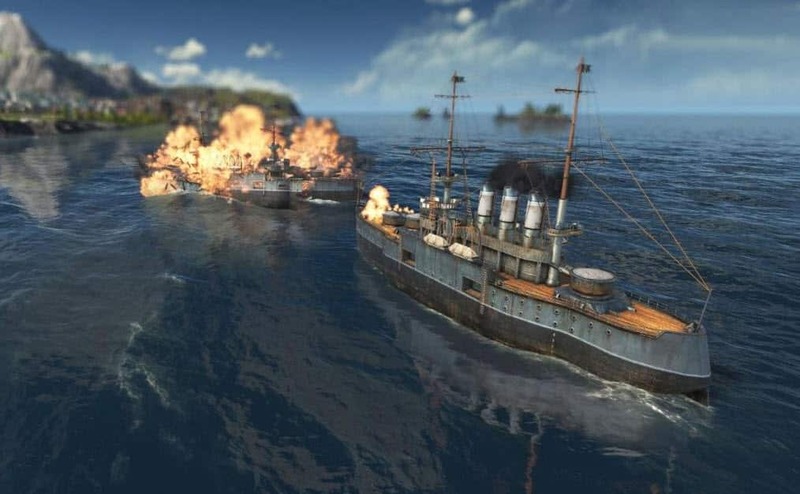 This time around players will orchestrate Naval Battles only. Ubisoft stated that they have tried to add land battles but after initial tests, were not satisfied with the results. Land battles were never the prominent feature of the game, but it would be nice to have the option. Anno 1800 will have a 4 man multiplayer mode for a race to create the most dominating city. Players can be rivals but also have the ability to trade with each other. Players can fight with each other and even create unions between them. Anno 1800 release date is Apil 16th 2019. The developer is Blue Byte and the publisher is Ubisoft. Once installed players will not need an Internet connection to play. The download is around 25 GB and be ready for a 25GB first-day patch. Players who participated in beta events will not be able to carry over saved games.